While creating LOOKING FOR LINCOLN, historians and researchers examined photographs, paintings, historical documents and letters. This evidence of the past—left behind by those who lived it—can be an extremely valuable tool for understanding the life and times of Abraham Lincoln. Below is a gallery of photographs, paintings, letters and historical documents that are important in helping us to better understand Abraham Lincoln. To uncover more about these items, select one from the gallery below to begin. Note: The questions and documents increase in difficulty as you proceed from Piece 1 to Piece 5. Edited by Henry Louis Gates, Jr. 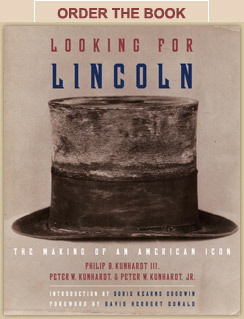 LOOKING FOR LINCOLN is a film by Kunhardt-McGee Productions, Inkwell Films and THIRTEEN for WNET.ORG in association with Ark Media. Sole corporate funding for LOOKING FOR LINCOLN is provided by State Farm®. Major funding is provided by CPB and PBS. Additional funding for education outreach is provided by the Motorola Foundation.